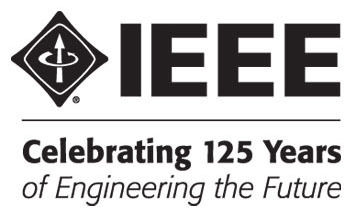 At the 2009 IEEE EMC Symposium in Austin, Texas, the Technical Committee on Electromagnetic Environment (TC-3) meeting had a lively group of sixteen folks participate as we reviewed our 2009 technical session, plans for the 2010 technical session and a 2010 special tutorial on the background of electromagnetic environment definition and standardization. Electromagnetic Environment standardization is key to good product development and operation in this RF-cluttered world we live in. The members, who were a slightly different mix then those who participated in the last year’s symposium meeting in Detroit, listened to the announcement that the update review of the IEEE 473 “Recommended Practice for an Electromagnetic Site Survey (10 kHz to 10 GHz)” would be started in November 2009. Several added their names to the list to be reviewers. One of the important functions of a technical committee, besides being the technical arm of the symposium committee putting together the EMC symposiums, is to develop standards within their committee charter. Effects of international civil and military standards intended to control man-made intentional and unintentional emissions of electromagnetic energy. See our web site: http://www.emcs.org/committees/tc03/index.html where you will find our meeting agendas and minutes. If so, please contact me or participate in a TC-3 meeting held during the EMC 2010 symposium in Fort Lauderdale, Florida. Also, at the end of the EMC 2009 TC-3 meeting, we heard a guest speaker, Professor Takeo Yoshino (University of Electro-Communications, Tokyo, Japan), discuss sunspot activity and its effects on radio noise, cooling of the earth (as seen with this year’s very low sunspot activity) and historical relationship to plagues, pestilence, and colder winters. So, do you really want to miss out on this fun we are having?